Mike Greene - For the Northwest Herald 31 North (217 N. Front St. McHenry) prepared shrimp cocktail and other hors d'oeuvres as part of a mixer for It's All About Kids Tuesday, February 28, 2012. The recently opened 31 North hosts a wide range of events with a special emphasis on giving back to the community. 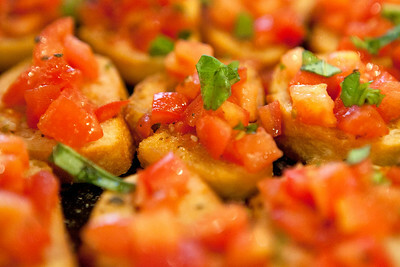 Mike Greene - For the Northwest Herald 31 North (217 N. Front St. McHenry) prepared bruschetta and other hors d'oeuvres as part of a mixer for It's All About Kids Tuesday, February 28, 2012. The recently opened 31 North hosts a wide range of events with a special emphasis on giving back to the community. 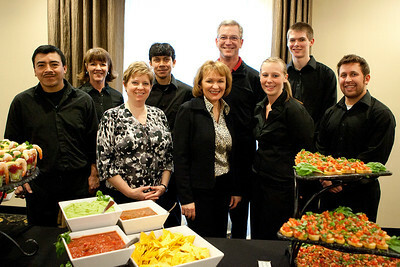 Mike Greene - For the Northwest Herald The staff at 31 North (217 N. Front St. McHenry) pose behind the hors d'oeuvres table prior to the start of a mixer for It's All About Kids Tuesday, February 28, 2012. The recently opened 31 North hosts a wide range of events with a special emphasis on giving back to the community. 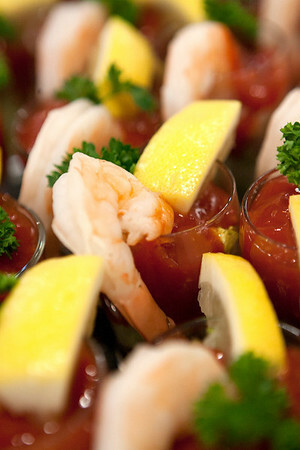 31 North (217 N. Front St. McHenry) prepared shrimp cocktail and other hors d'oeuvres as part of a mixer for It's All About Kids Tuesday, February 28, 2012. The recently opened 31 North hosts a wide range of events with a special emphasis on giving back to the community.